No-one expected to see a convoy of Chinese BV’s moving along the shoreline, as we exited the King George Island ridgeline this morning. Once back on the yacht, the inevitable admin whirlwind of 9 people trying to clean and dry their expedition kit, in a space the size of a prison cell was in full effect. This afternoon has been fairly relaxed, filled with dit spinning (story telling) and general banter. Food preparation and some minor yacht repairs to the generator, have taken up the time of the duty stoker (Shady). Depending on the weather, we are aiming to depart for South Georgia within the next 24 hours, which will be our longest passage yet. The prospect of hitting the beach in King Haakon Bay is an exciting one. 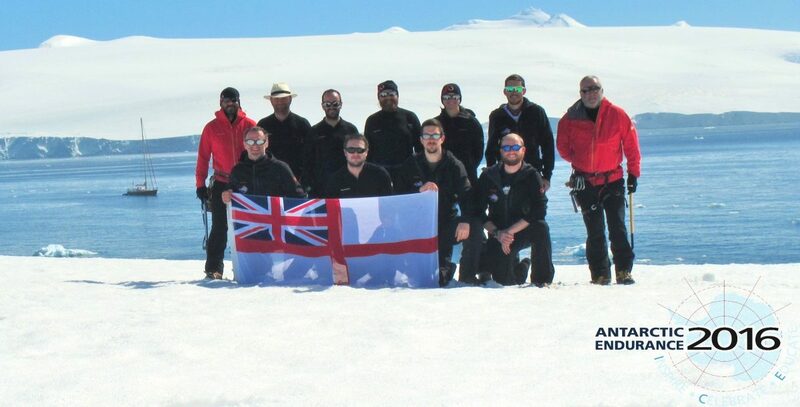 Another week’s time and we will be embarking on foot, to cross the the island, following in the footsteps of Shackleton himself. Nine months ago, we were all still just hopefuls in the running to be an AE16 team member. Seeing the messages that have come through the website has been very encouraging and the team are very grateful, especially to the children of Dalgetty Bay Nursery, who have been following our progress. Before we depart, there are still a number of jobs to be done, such as stowing away the Zodiac that took us ashore, checking of weather, planning of the passage and personal admin. Leaving King George Island for the next stage of the journey, will be a milestone and time to take stock of the incredible journey that we have already undertaken. Once at sea, comms will be limited, due to the amount of movement and lack of stability that is needed to transmit on the satellite. If we make best speed, we could be in South Georgia as early as Thurs 11th Feb.